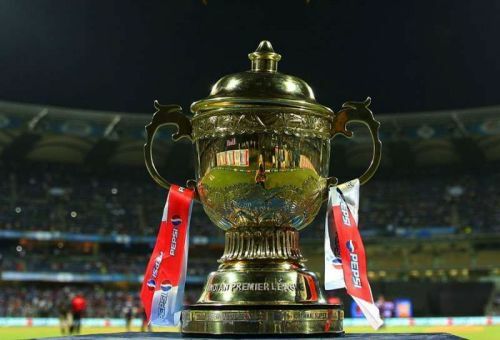 The Board of Control for Cricket in India has released the schedule for the remaining matches of the 2019 Indian Premier League. The tournament, which begins on March 23, will see the group stages end on May 5th. The final match of the group stage will be between the Mumbai Indians and Kolkata Knight Riders at the Wankhede Stadium in Mumbai. Earlier, the BCCI had released the schedule for the first two weeks of the tournament, until April 5. Each team will play 7 home games, as has been the norm since the inception of the tournament. The first match of the tournament will be between the Chennai Super Kings and the Royal Challengers Bangalore, taking place at the M Chidambaram Stadium in Chennai. With the group stage set to conclude on May 5th, the dates and venues for the playoffs have not been finalised yet. The entire PDF for the full IPL schedule can be downloaded here. Follow KKR vs DC Live Score here on Sportskeeda. However, due to the upcoming General Elections in India, the IPL schedule is subject to change. Unlike in 2009 and 2014, where the tournament was shifted outside India (South Africa in 2009 and UAE in 2014) due to the elections, the entire tournament will take place in India itself this time. Teams have begun their practice sessions and are gearing up for the upcoming season. A few changes have already been made as players like Kamlesh Nagarkoti and Shivam Mavi were ruled out of the tournament. This led to the Kolkata Knight Riders roping in KC Cariappa and Sandeep Warrier into the squad. The tickets for the first couple of weeks has been released by the respective teams and can be bought online. Shortly after the IPL, the ICC World Cup will commence in England from May 30.